If you’re like most home owners, damage from a flood or leak is probably on your short list of home related nightmares. Not only can prolonged and repeated damage wreak havoc on your home, it can also be dangerous depending on the source of the leak or flood. Water heaters are a great example of an often-forgotten home appliance that can cause a surprising amount of damage should something go wrong. So, what do you do if your water heater is leaking, or worse flooding? Before we get to that, let’s take a step back. 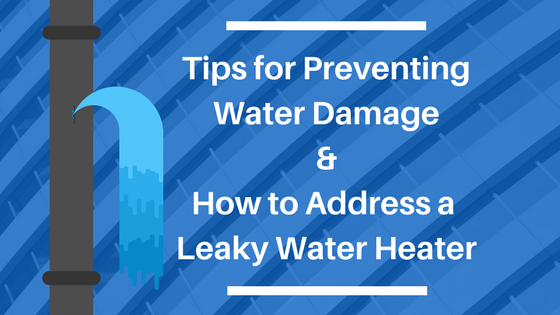 The best defense against a leaky water heater is maintenance and general upkeep. The good news is, the maintenance and upkeep are things that, for the most part, can be handled by you. Do the following monthly, quarterly, and annual basis to prevent damage from a leaky water heater. Set aside 10 minutes at the beginning of every month and visually spot check your water heater for leaks. In your visual check for a leaky water heater, you should be checking the pipes and any other element that has flowing water. You’re checking for spraying or dripping from these areas. There may be drops of water on the ground or spraying from the pipes. Mold on the surrounding area (walls or other items) is also a sign that things may be wrong with your water heater. Pipe joints may have calcium build-up on them which can be a sign of a leak. Some of these problems can be fixed by simply tightening valves and pipe joints. Every 3 months you should check your drain and shut off valves. During this test you should actually try to use both valves properly to ensure they are opening and closing smoothly. Should your water heater flood the area, you’ll be glad your valves are operational. To prevent sentiment build up that can lead to other problems, we recommend a professional service technician visit your home to help flush your water heater. Proper water heater maintenance is pivotal in extending the life of your water heater. Flash forward to where we are now. You have a hypothetical or perhaps real situation with a flooding or leaking water heater. If your water heater bursts or has a leak that the above quick tips didn’t solve, it’s time to call a professional. What should you do if your water heater is flooding the area with water? Water restoration can be costly, but addressing this concern sooner rather than later is imperative. Water can lead to worse damage down the road and neglect is not the recommended course of action. Should you be affected by a burst or leaking water heater let Flood Solutions Inc. be your water restoration and emergency flood service experts. 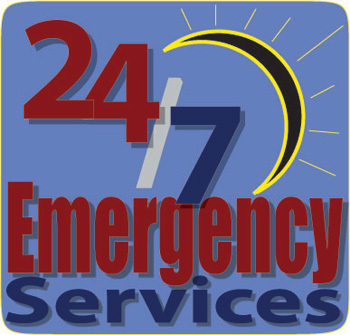 Because a water emergency can happen any time of the day or night and can quickly cause extensive damage, we are available 24/7. Call 760-532-3266.